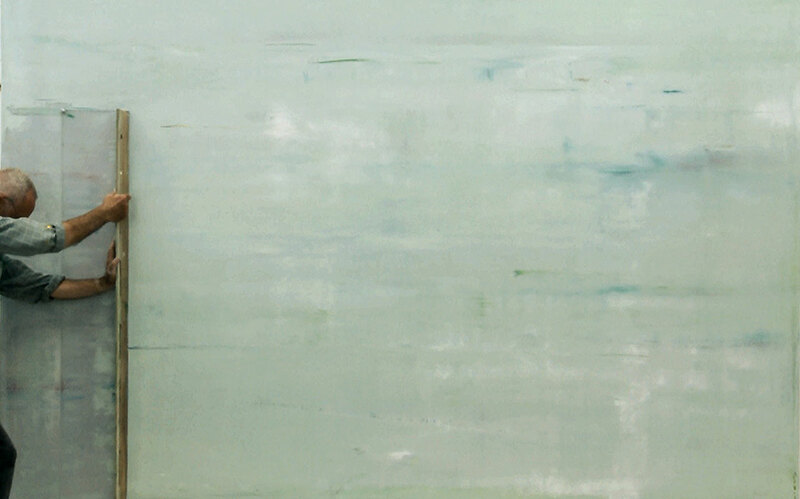 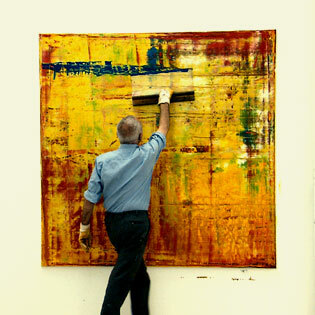 One of the world’s greatest living painters, the German artist Gerhard Richter has spent over half a century experimenting with a tremendous range of techniques and ideas, addressing historical crises and mass media representation alongside explorations of chance procedures. 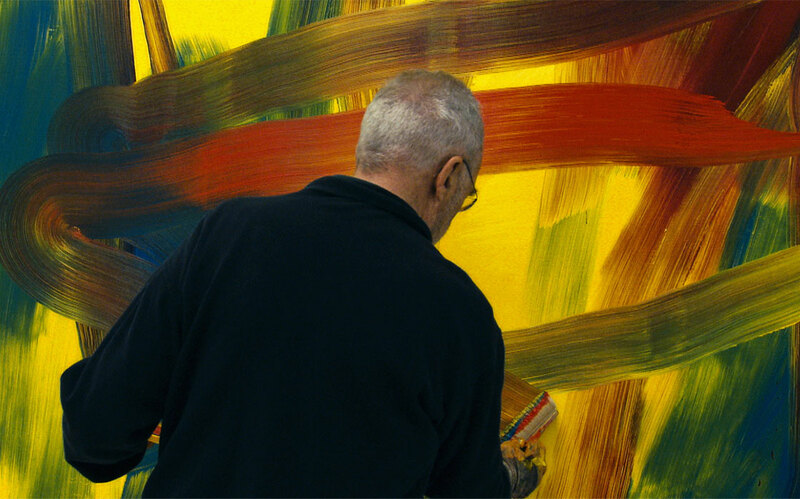 Infamously media-shy, he agreed to appear on camera for the first time in 15 years for a 2007 short by filmmaker Corinna Belz called Gerhard Richter’s Window. 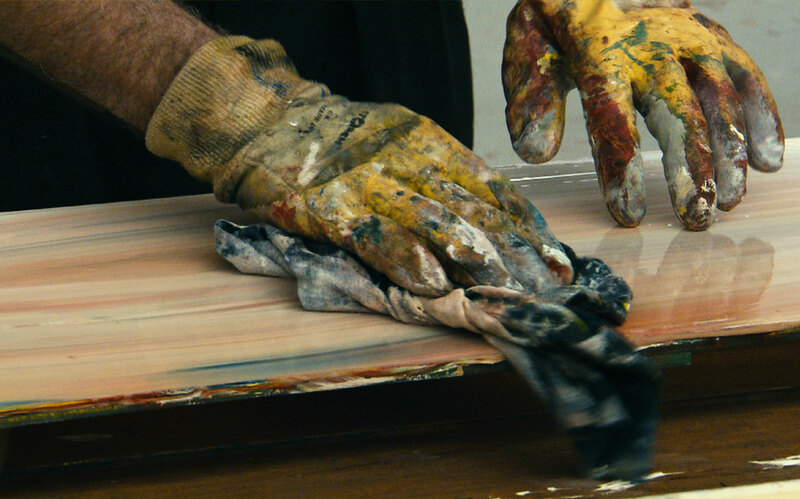 Her follow-up, Gerhard Richter Painting, is exactly that: a thrilling document of Richter’s creative process, juxtaposed with intimate conversations (with his critics, his collaborators, and his American gallerist Marian Goodman) and rare archive material. 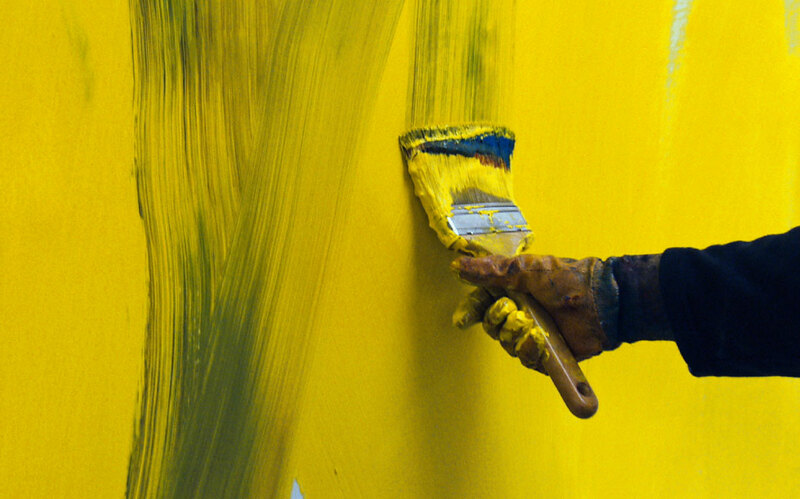 From our fly-on-the-wall perspective, we watch the 79-year-old create a series of large-scale abstract canvasses, using fat brushes and a massive squeegee to apply (and then scrape off) layer after layer of brightly colored paint. 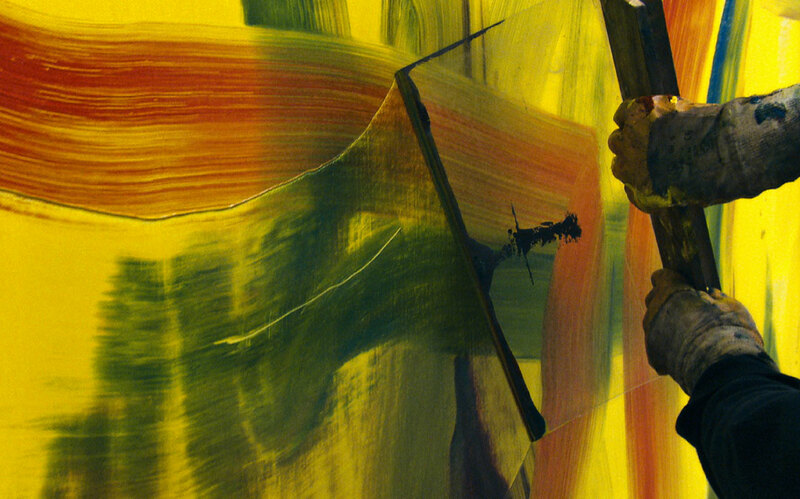 This mesmerizing footage, of a highly charged process of creation and destruction, turns Belz’s portrait of an artist into a work of art itself.